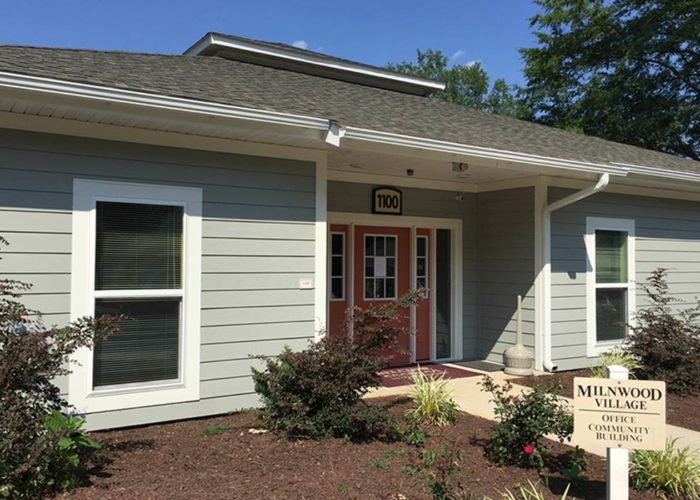 Nestled in a peaceful location near shops, banking and health facilities in Farmville, VA, Milnwood Village is an apartment community for residents 55 years and older. Originally built in 1982, the 40-unit apartment complex was totally renovated in 2018. Each apartment has a private front porch, a spacious living room, dining room and kitchen. Additional improvements include new roofs, fiber cement siding, new windows and doors. In the interior are new HVAC units, water heaters, cabinets, floorcovering, appliances, and plumbing. All improvements are made to meet the Earthcraft Platinum Certification insuring residents incur minimal energy costs. Residents have access to the clubhouse which includes a large community gathering space with a kitchen, resident computer, television, and on-site laundry.